The SLX4 receiver makes setup easier than ever. 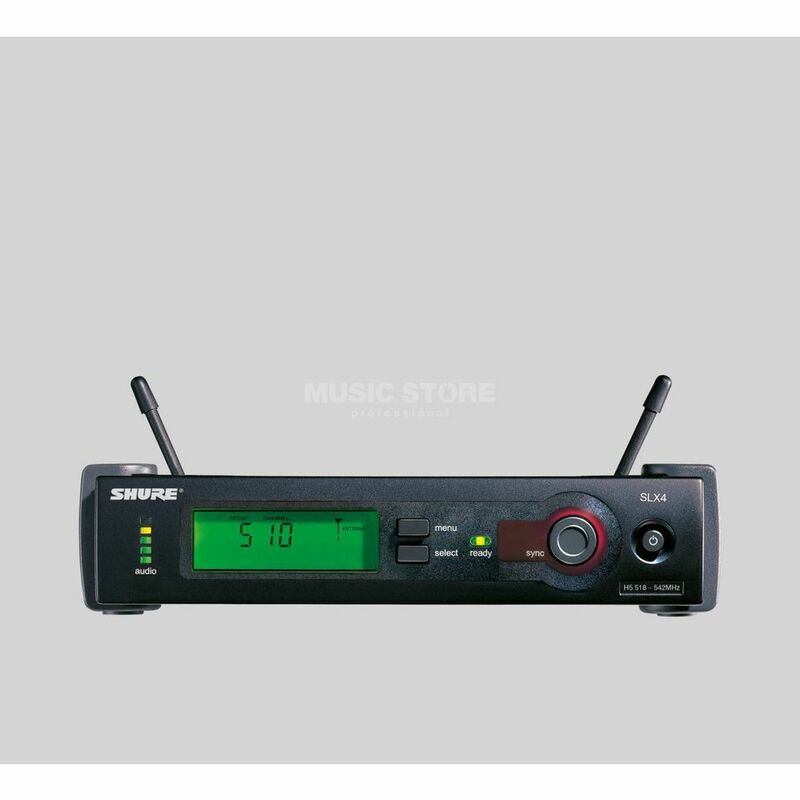 Using automatic frequency selection, the system quickly identifies a free channel and then synchronizes transmitter and receiver via infrared link. Rack mounting material, detachable antennas and other accessories included in the delivery ensure that SLX wireless systems are ready for use in no time at all.